Hardwood flooring is often thought of as a classic choice. It is a floor with timeless beauty and the durability to withstand the test of time as well. When you are selecting your hardwood floor you probably don't want to go with something that is a "fad" or that will quickly look dated. With that said, there are still some distinct trends in hardwood flooring worth watching. There's a definite trend in many home goods towards a more authentic look. Longer planks are more traditional and give a floor a look that says timeless. 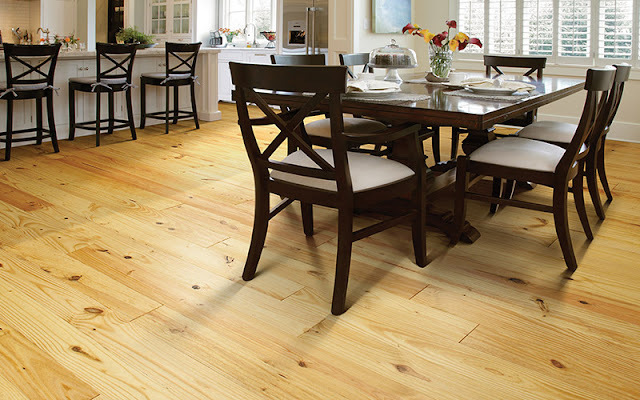 It's no coincidence that the more popular wide planks also look nicer in longer plank lengths. A wide plank that is short tends to look more like tile. Wide planks can be more susceptible to moisture issues so be sure to discuss your specific needs before picking a plank that is wider than 5 inches. While gray hardwood flooring is a trend we've seen for a while, it's the sort of thing that might look dated in 20 years. 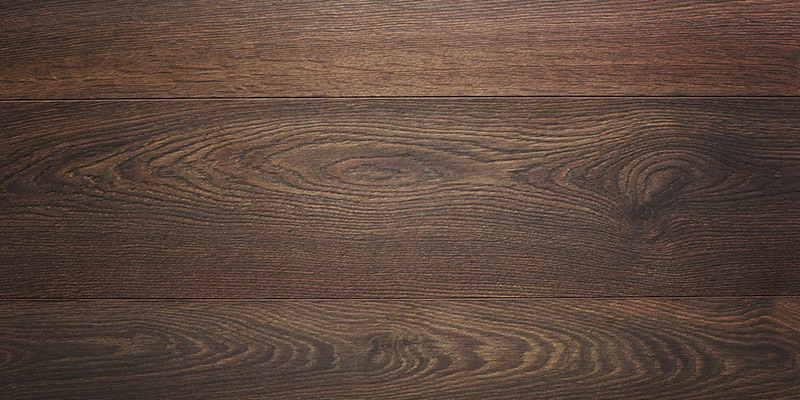 That isn't diminishing its popularity today but we're noticing an industry-wide trend towards very dark hardwood or very blonde hardwood - without a lot of that "traditional" neutral look. Both the very dark and very light hardwoods bring a distinct look to any room and are flexible to match nearly any style of decor. 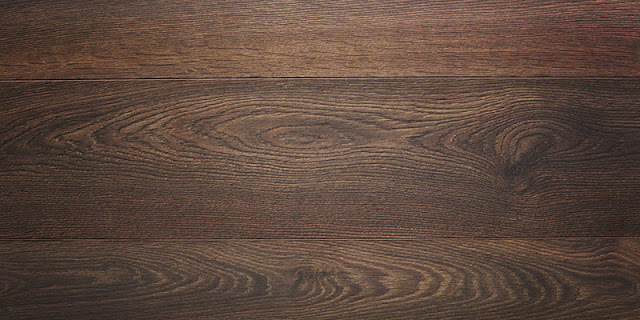 You might also like: Dark vs light hardwood flooring: which is right for you? As with many other types of flooring, texture is a big trend for hardwood floors in 2017. How do you get texture in a hardwood floor? Hand-scraping or wire brushing. Hand scraping involves a person scraping each plank by hand, lending a truly one-of-a-kind look to the floor. These scrapes and marks tend to be deeper and more noticeable than those done by machine. Consider the size of your room and your decor before choosing hand-scraped planks. This trend is so noticeable and distinguished that it could fade in popularity within ten years. What's a textured look that is likely to stay around for hardwood floors? Wire brushing. Wire brushing gives wood planks an aged distressed look that is a bit more subtle than hand-scraped floors. The added benefit to this distressed look is that the scratches help hide new scratches, dirt and dust. It's no wonder wire-brushed hardwood is a popular choice for busy families and homes with pets. Hardwood flooring trends point towards less gloss and more clear finishes that highlight the wood's grain and natural beauty. Going back to that overall move towards "authentic-looking" wood floors, clear matte finishes really show off the knots, color variations, and character of your hardwood floor. Regardless of the type of wood or its finish, many homeowners are taking a different perspective with their hardwood floors. We're seeing homeowners include planks of varying widths in their floors and others having the wood floor installed at a diagonal or in a pattern. The choices with this trend are truly only limited by your creativity and the room layout. Trendy or traditional, one thing is here to stay: Kermans Flooring is Indianapolis' top choice for hardwood flooring. Whether you're looking to take advantage of one of the trends noted here or are looking for design guidance into what hardwood floor is best for you, Kermans is the place to start.